Watch Champ matches live this midweek! This Wednesday night on Sky Sports, you can see every game in the Sky Bet Championship live via the Red Button. Sky Sports Football customers can see each match streamed live on the Sky Sports app - simply sign in with your Sky iD to view and make sure you have the latest version of the app. 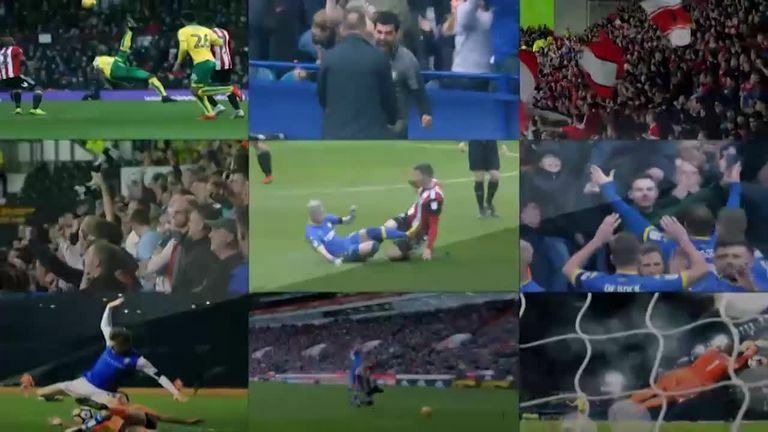 On Wednesday night Birmingham vs Sheffield United is live on Sky Sports Football from 7pm (kick-off is at 7.45pm), and every other game is live on the Red Button and Sky Sports app from five minutes before kick-off. Norwich vs Reading is also available to watch on Sky Sports Action from 7.40pm (kick-off is at 7.45pm). Brentford vs Ipswich, live on Red Button and Sky Sports app, could see Ipswich relegated tonight if they lose, and if Millwall, Reading and Wigan win their respective games. For Sky Q customers, the matches on the Red Button will be available in HD quality and the service comes at no extra cost. Midweek matches are only available through these channels and cannot be watched with a NOW TV pass and are also not available in Sky pubs. Please note: we can only show rescheduled or displaced games on the Red Button where respective clubs stream them on their iFollow app.